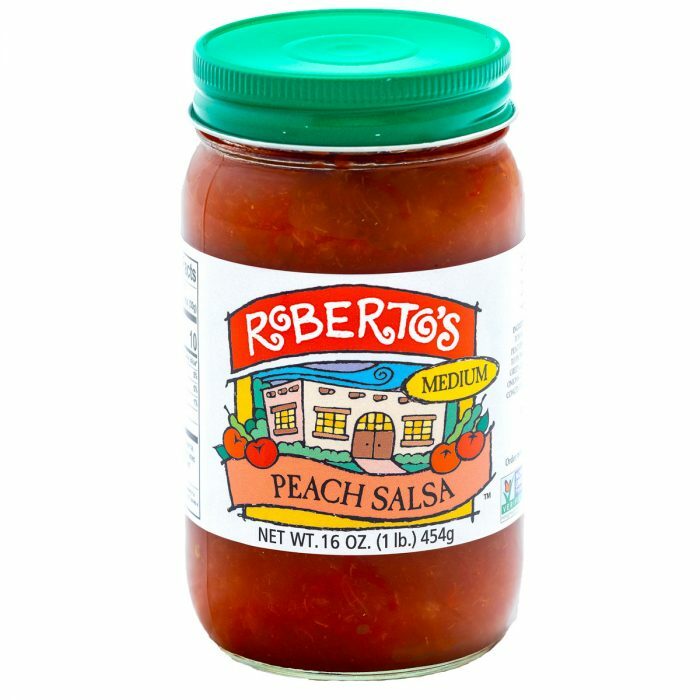 Peach Salsa is available in Medium and enhances tacos, eggs, hamburgers, fish, & steak. 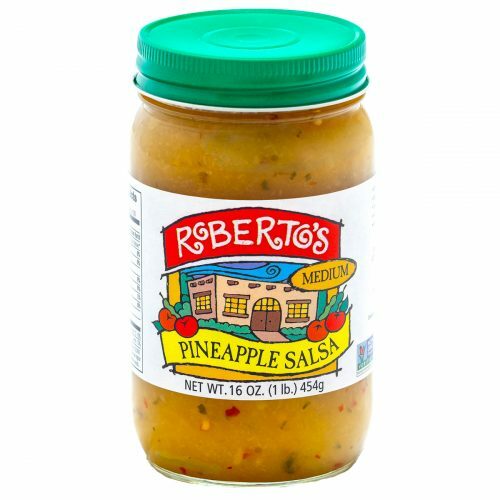 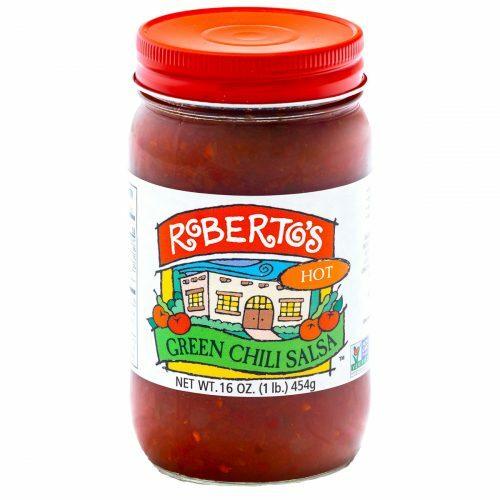 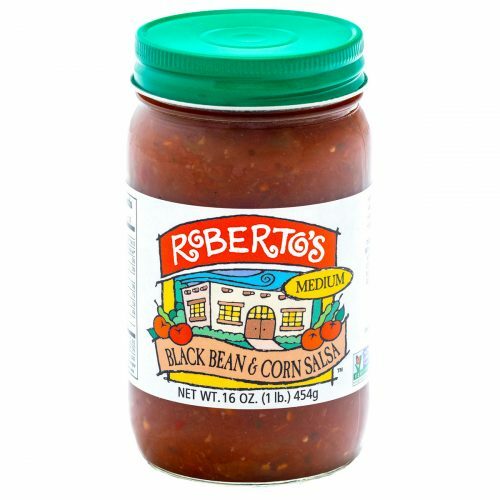 The Peach Salsa is Roberto’s unique creation and is quickly becoming a new favorite.This salsa comes in Medium and enhances tacos, eggs, hamburgers, fish, & steak. 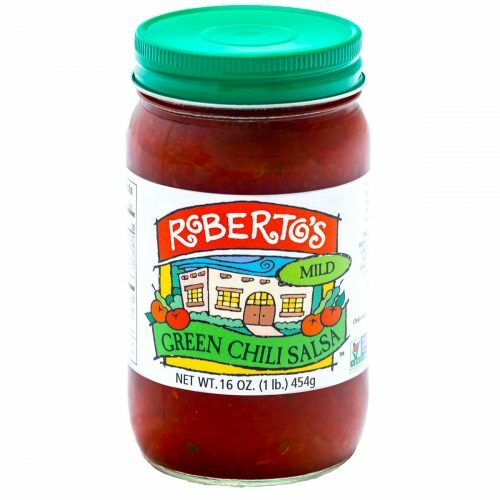 Tomatoes (Vine-ripened fresh tomatoes, tomato juice, salt, calcium chloride and citric acid), peaches (ascorbic acid, citric acid, and malic acid to promote color retention, and Natural Flavor), Green Chiles (Green Chili Peppers, Salt, Citric Acid), onions, lemon juice, water, red wine vinegar, peach concentrate, sea salt, garlic, cayenne pepper, and spices.